Here is a beautiful sunset captured from Nahargarh Fort after a short spell of rains. This picture was captured using a ultra wide angle lens in low light condition. This picture from Nahargarh Fort captures panoramic view of Jaipur city. Nahargarh fort is quite popular among Jaipur residents. Therefore traffic jams are quite common on the road leading to Nahargarh fort as well as inside the Nahargarh Fort complex. Want to read more about Nahargarh Sunset? Hop on to Is Nahargarh Fort Best Sunset Point in Jaipur? Pingback: Jaipur Kite Festival/ 2016/ Photo Journey – Jaipur thru my lens !! 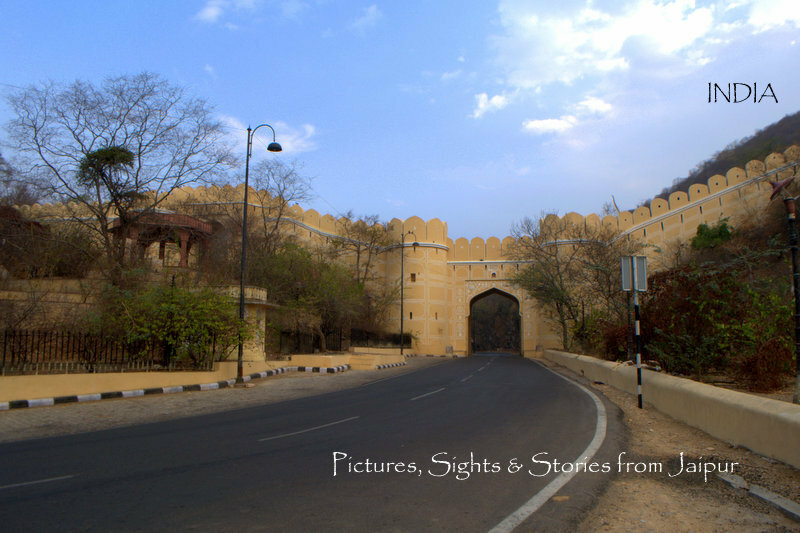 Pingback: Views of Jaipur/ Edge of the city – Jaipur thru my lens !! Previous Previous post: Watch tower! Next Next post: Amer – waiting for the customers…..